With their expert skills and experience, our Trustees help us to achieve our charitable aims and improve the services we offer. 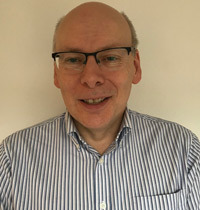 Our Chair, Keith, has years of experience at senior level in the charity sector. 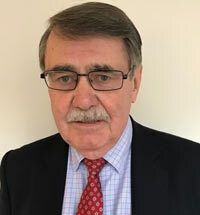 Keith was also previously Chief Executive of the British Parking Association (BPA) and was awarded an OBE for services to parking in 2006. 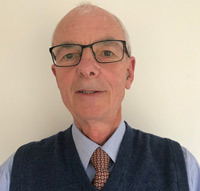 Keith has strong leadership, strategic planning and policy making skills and became passionate about hospice care after his father was looked after in a hospice at the end of his life. Keith enjoys spending time with his family and loves golf, DIY and the arts. Harriet is a lawyer by profession: she has a law degree from Cambridge University and worked in management at a large firm for many years. She has since worked as an independent consultant. Harriet has lived in Sussex for over 20 years and is passionate about supporting her local community. She is married with three grown up sons and loves singing; Harriet is part of the highly acclaimed Bach Choir. Nick recently retired from his work as a GP in Cuckfield. As a GP, Nick has referred many patients to the hospice and has a strong understanding of hospice care and the patient journey. In his spare time, Nick is learning to play golf – a task that is proving trickier than he had thought! He has also recently qualified as a commercial Drone pilot. Nick is married with two adult children. Andrew was a Chartered Accountant and Tax Advisor for more than 30 years, working up to senior finance roles. Since taking early retirement at the end of 2013, Andrew has supported his local community as treasurer of both the local village hall and the scout group. Andrew lives in Lindfield and is married with two grown-up sons. David’s working career spanned 40 years in retail, where he fulfilled numerous management roles. Following retirement in 2009, he was keen to retain his ‘sense of purpose’ and pursued local volunteering opportunities. David is keen to use his considerable experience to positively impact our charity shops. David loves travelling and learning about different cultures. He also enjoys being a grandparent to four – it keeps him busy and in tune with the younger generation! 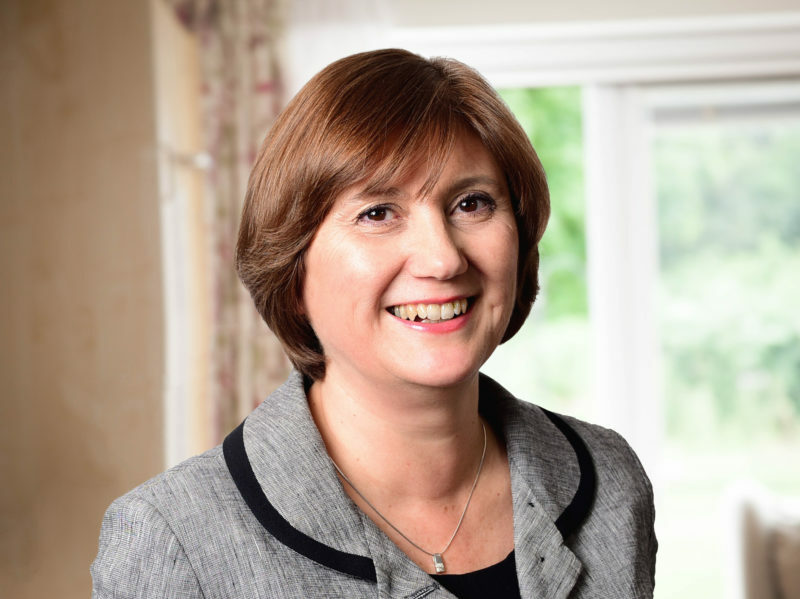 After a long career in the NHS and experience of working at government level in England and Scotland, Julie runs her own business, Wale King Associates, through which she provides executive coaching. Julie wished to use her existing knowledge, skills and experience to give something back and make a difference to members of her local community. In her free time, Julie studies music theory and is learning to play the piano. She also enjoys socialising with friends and travelling the world. 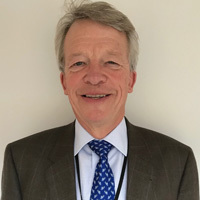 Tim is a former partner of Rothschild, a global investment banking group and is now senior independent director of a listed company, based in Crawley, and a non-executive director of two private companies. Tim chairs our Finance Committee. Tim is married with three grown-up sons and was born in Cuckfield, but now lives near Lewes. Deirdre was a nurse for over 20 years and gained two degrees, working up to a senior level. 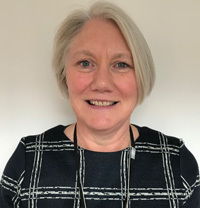 She was responsible for setting up and running a nurse-led surgery, and was the clinical lead for Brighton and Hove Clincial Commissioning Group, covering community services and dementia. She has a particular interest in people living with long-term conditions, and is committed to integrated, patient-centred care. Deirdre is married with three children. Christine initially qualified as a pharmacist and eventually moved into hospital management working as a Director and CEO for over 16 years. In her retirement, she has a number of trustee charity positions including Chairman of Parkrun Global and Deputy Chair of Hospice UK. Christine believes that a great deal of collaboration can happen between different healthcare providers, so was keen to explore this further by working or volunteering in two such providers and bringing her wealth of experience to both. Christine lives in Hove with her husband. In her free time, she’s a keen runner and enjoys competing in triathlons – she’s trying to get a bit faster to represent the country in her age category!